Being caretaker to many crystal companions, I appreciate their vibrant color, their uniqueness, their energies (subtle or otherwise). The time that I share with them led to the publication of several volumes. A comprehensive guide in an easy to read and understand format, this book is ideal for anyone who wishes to understand more about stones and crystals. In addition, they will also learn how to best connect with and care for them. In keeping with the individual crystalline journey, each reader is encouraged to write down what they are feeling and sensing, all in an effort to better intuit for themselves, thereby furthering their knowledge in this fascinating field. When I first started reading The Wisdom of Crystals by Michele Doucette, I was astounded to see that she really understands the inner workings of healing stones and crystals. Not only is this a very good read, but it is a highly educational volume for the beginner. Likewise, it is a wonderful reference resource for the skilled healing practitioner. Thank you, Michele, for offering us another wonderful book on healing and health. Congrats! The reader is certain to find lots of information on crystals, gemstones, chakras and even crystal layouts and meditation. Michele’s explanation of high and low level frequency and illness/healing is very interesting. I believe there is plenty in this book for everyone, beginners as well as advanced crystal practitioners. As always, Michele’s writing is interesting, concise and informative. She includes many exercises and instructions for a person to get to know their crystals on a more intimate level. I am very happy to be able to recommend this book to anyone wanting to become more familiar with themselves and how to work with their crystal friends. Crystals are the eyes, ears and mouth of the Earth, which uses them to see, to hear, to smell and to taste (page 13). 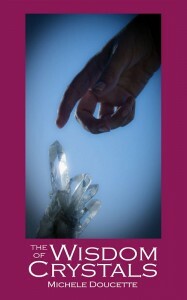 If you are curious about crystals and crystal therapy, this is the book for you. Whether a beginner or an experienced crystal healer, you will find valuable information in The Wisdom of Crystals. From the first step of choosing your crystals, through cleansing, and energy exploration, to the workbook section where readers note their own reactions, readers will learn to appreciate the power of crystals, the author takes readers on a journey of understanding. Written in layman’s terms, which aid beginners, it is an in depth study of crystals and their power to heal. This reviewer was most impressed with the inclusion of exercises for readers to experiment with crystals themselves, giving the book a personal hands-on approach to learning. 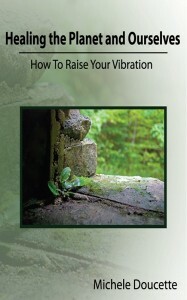 The book also contains a Directory of Crystals for easy reference as well as a chapter on Chakras. A list of other excellent books and websites on crystals in included, making this a very comprehensive guide to understanding, and using, crystals on a daily basis to improve our health and our lives. The included photographs are also an excellent tool for learning. As Anastasia of the Siberian tiaga has stated throughout the Ringing Cedars series, Man is Creator. In keeping, so, too, is God Creator. Likewise, God/dess is thought; henceforth, thought is also Creator. After all, was not the beginning stated as being the word? What was word, then, if not thought? Man creates his/her own reality through thought. It all comes down to what does Man wish to create, does it not? Thought is tangible. All previous publications from this author, resulting from thought, can be physically held by you, the reader, for they are materialized thought. It is believed, by many, that crystals represent the heart, the inner soul, of the Great Mother. 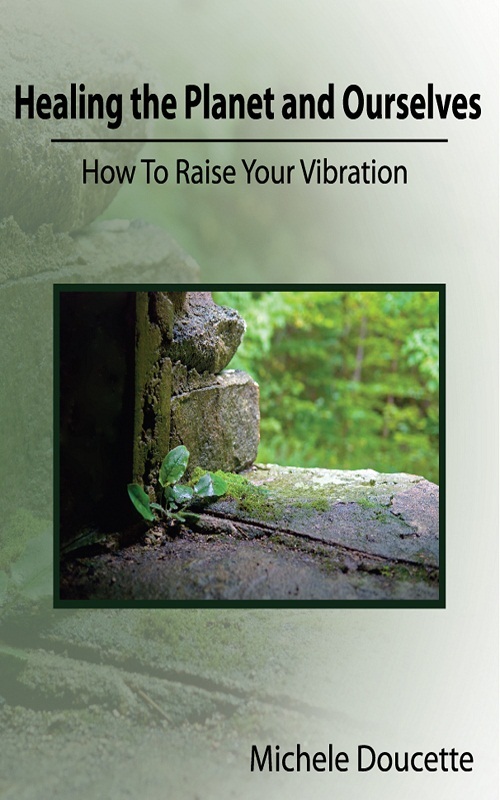 Healing the Planet and Ourselves: How To Raise Your Vibration is a volume whereby the author took the time to simply sit, eyes closed in meditation, all in an attempt to connect with the energies of 111 crystal spirits, asking the stones to share the messages that needed be made known at this crucial time. It is hard for me to put into words what your writing means to me because it is so good, to the point, and yet full of hope for the future. I feel that you recognize the need to raise our vibration for positive endeavors and through doing the work, one can actually change the way they process information to change their lives for the better … this gives me goosebumps in the most positive of ways! You are such a commendable writer, Michele. I find it truly amazing that you manage to write so many books at once; you must live in a creative vortex. I can see that many will flock to this, your latest work on crystals. Healing energy of the mineral world as translated by a highly sensitive, enlightened human being will help to heal our planet and ourselves. Michele Doucette has created a truly unique look into the world of crystals and minerals. Her goal is to teach readers how to first heal themselves and then heal planet Earth and it is this reviewer’s opinion that she has done that very successfully, in this book. Hundreds of crystals and minerals fill the chapters, each truly different from the one before as Michele first describes the stone and then provides readers with her own interpretation of the stone’s message. The messages received through meditation are insightful, spiritual and eye opening. This is not a book to sit and read in one sitting, but a book that you will return to day after day as you absorb the deep messages within. Join Michele in an illuminating, self-fulfilling journey. Do you have to go out and buy all of the crystals yourself? No, simply read the meditations to receive the message. If you are inclined to investigate crystals further after reading this book, I would highly recommend another book by this author, The Wisdom of Crystals.